Water is the fundamental component for life and adversity is that it has been reducing with the increasing demands. The news about water shortages in Pakistan are now becoming a continuous part of headlines, in which there are water problems like drinking water shortage, per capita water shortage, erratic river flows and many more. In term of water scarcity, the water stress indicator sets by Falkenmark is 1,000 cubic meters per capita and Pakistan has started way above this threshold of 5,650 cubic meters per capita fresh water availability. This shows that since independence the need of water resources and constructing dams were much in need. Pakistan has always been focused upon the Indus River water which was conflictual and is challenging up till now. 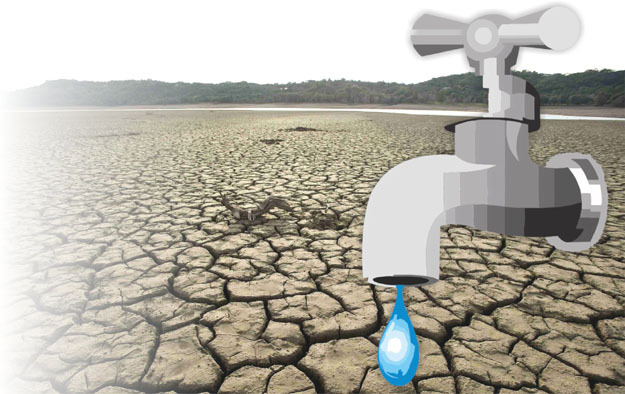 The reason to the shortage of water is mainly due to climate change and lack of development in the form of dams or reservoirs for the available water. Water diplomacy basically focused on the establishment of novel solutions to wide range of water problems. In Pakistan, the state level developmental institutions have been trying but citizen-based organizations are more effectively working. Water diplomacy on a river is one of its kind in which Indus Water treaty is considered as most important and continuing with much challenges as the Indus Water is flowing between the two hostile states Pakistan and India. In comparison to the plans of these two states, India has not only been planning but strictly working to construct as many projects as it can where as Pakistan has no such plans. The continuous and fast usage of Indus water will ultimately result in its dissipation and for Pakistan it’s a lifeline as more than 70 percent it is dependent on Indus river. Pakistan needs friends to have on its side when it comes to this bilateral treaty and the issues regarding it. The interconnectivity of climate change and resulted water shortage with social, economic and political issues are quite evident. The Indus Water treaty have been always vulnerable due to Indo- Pak relations, in any situation of conflict or violence in India, the statements like ‘blood and water cannot flow together’ become more apparent. On the other hand, water diplomacy on Indus River is a cause of negotiated relations between Pakistan and India. India has unresolved water issues with almost all its neighbors, specially with China and Bangladesh and hence, comes at 4th position in terms of having water reservoirs. Pakistan has tried enough on the forum of International Court of Justice and through neutral expert, favor went to India in the verdict. Pakistan must not neglect other water resources and should have more focused domestic policies about the development as it is not only about the trans-boundary negotiations. Flooding in Pakistan and no saving water mechanism have led much destruction in social and economic and energy sectors. Kabul river in this severe situation can be a ray of hope, the geography of Afghanistan is suited for shared benefits in agri-business. Almost 13 smaller dam’s constructions are under consideration, but it is much needed to have an agreement for secured water flow. According to the report of Institute of Environmental Diplomacy and Security, the participants explored and developed the framework for Track 2 (environmental and science) and Track 3 (community action and engagement) diplomacy between Pakistan and Afghanistan. With the help of which Pakistan can ensured its water and energy needs in the Tribal areas where the mining has already caused much destruction in climate. Climate change is a phenomenon which has created the social and economic situation quite complicated in terms of environmental hazards, water shortage, food insecurity, migration and many others. This phenomenon has spread beyond the borders and South Asian region is more prone to destruction of air, land and water. High temperatures are melting the glaciers from the mountains which produce floods. The water reservoirs can help save this water from wastage and land from soil erosion. In the aforementioned situation, it would be imperative to say that the regional water diplomacy can save every country from disastrous situation as the water insecurity has wide range of implications that would affect every other state. It is now time to acknowledge the importance of cooperation for the riparian states of the region to form river basin institutions to generate trust between parties. In 2014, adelphi has presented a report about “The Rise of Hydro-Diplomacy” which analyzed the pivotal river basins in the world and reported that there is a need to have foreign policy perspectives which advise ways to prevent conflicts and resolve already conflictual basins. Pakistan, in this scenario, needs to have water ministry and departments that generate strategies by involving federal and provincial governments, so that domestically accepted policies may generate. Pre-emptive measures are required to take by updating infrastructures and increase water storage capacities so prevent from ourselves from future disasters related to life basic necessities. The writer is student of Department of International Relations, National Defense University Islamabad.